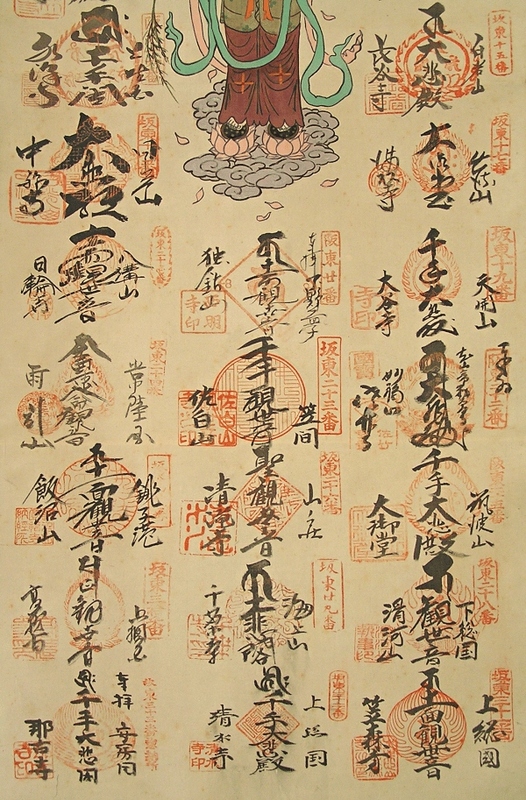 " 33 Signatures of Kannon Temples in Kanto Area "
This scroll was made before 1973. We cannot distinguish whether the scroll was made in silkscreen printing or handwriting. There are faint spots and stains on the drawing part to some extent. As a whole, the condition of this scroll is so-so. 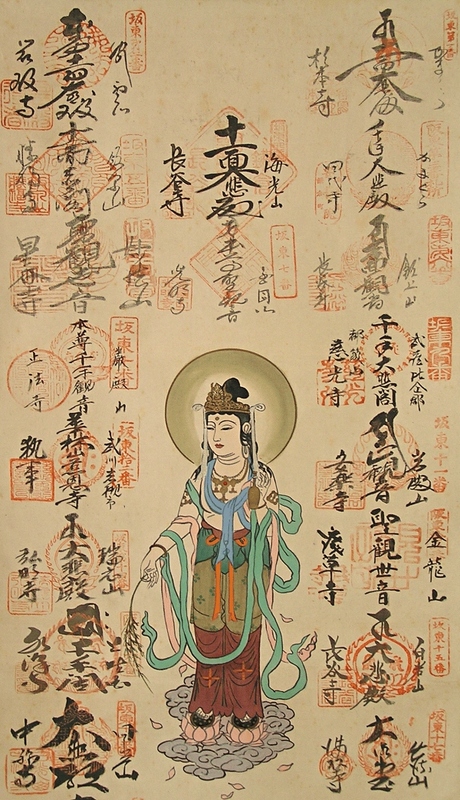 There are 33 famous temples which worship Kannon (Kuan Yin, Goddess of Mercy) in Kanto area of Japan. These are the signatures and seals of the temples.